The launch of Samsung’s next flagship is getting closer and we are also getting more closer to the actual device as leaks for Samsung Galaxy S10 and Galaxy S10+ aren’t stopping. Previously we saw it’s prototype version in a video showing it’s 5G network capability as well as we got some other rumours about the device. But now a bunch of leaks are shared which proves that the upcoming Galaxy device will be Stunning. Now let’s make things clear, the Samsung Galaxy S10 and Galaxy S10+ are said to get 5G network capability, but there will be a 4G variant as well which is expected to launch earlier. And after a month the 5G variant of the device will unveil in March. In the 5G test video the device which we saw is said to be the Galaxy S10 but in the video, we saw regular bezels and horizontal camera at the rear. The recently leaked prototype of the device also looks similar to the smartphone in the 5G test video. This prototype was placed beside an iPhone model which gives a pretty clear idea of the size of the Galaxy S10. All these leaks point out towards a device with no notch and no hole camera technology, however, a recent press render of the device suggests a completely bezel-less phone with a hole camera technology. 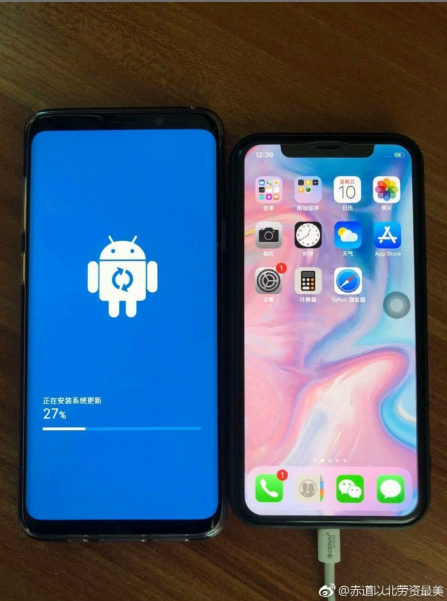 According to the sources, it is the Plus version of Galaxy S10. 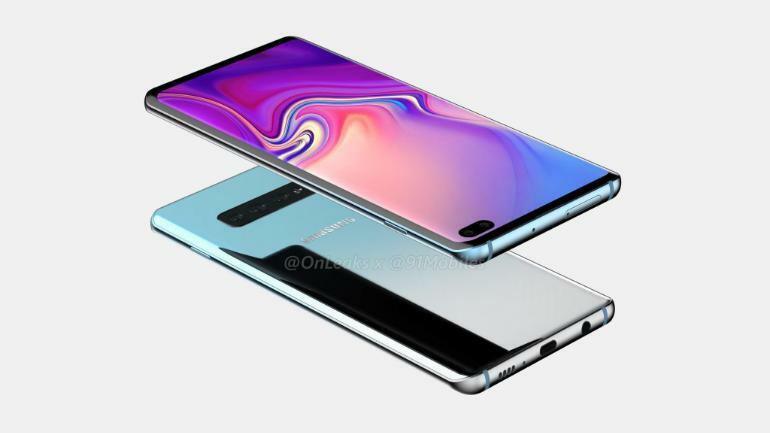 This means the Samsung Galaxy S10+ will be the second Samsung smartphone with hole camera technology after the Samsung Galaxy A8s. Thanks to OnLeaks and 91Mobiles, we now know that the Galaxy S10+ will feature a dual camera setup on the front. A video shared on Youtube shows the device in black mentioning some information. This confirms that it will feature a 3.5mm headphone jack and will have a 6.4-inch Super AMOLED screen. The next leaked unboxing video on Weibo, further confirms that all these speculations and renders are legit. The video starts by showing the unboxing of a Gold colour Galaxy S10+. It also shows the box of the device and horizontal camera positioning on the phone. Other than this, the Galaxy S10+ is expected to start at CNY 7,000( approx $1000) but the Galaxy S10 pricing and other details are yet to be known. 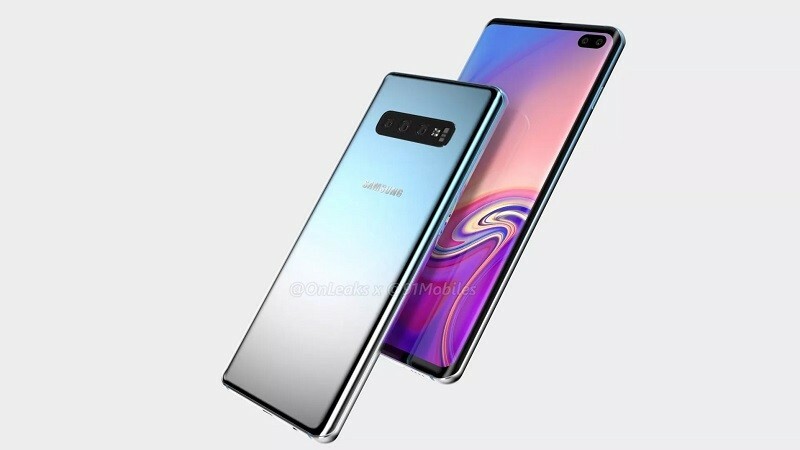 Now if all these press renders and leaked images are to be believed then the Samsung Galaxy S10 and Galaxy S10+ will be a very good package for Samsung fans. But few more information on the device is unknown and we might see a series of new leaks again in future. Stay Tuned for more updates on Samsung Galaxy S10 and S10+ and also Subscribe to Our YouTube Channel Gadget Gig For Latest News, Reviews, Unboxing and Tips/Tricks.